I just had to let you know about a remarkable music festival coming up in May and a fantastic way to travel there. 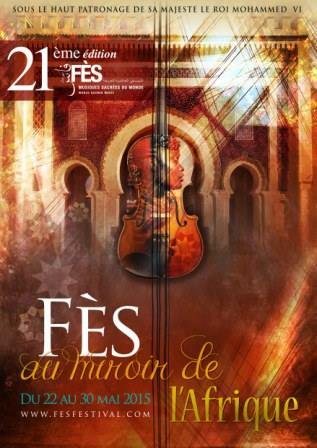 The Festival of World Sacred Music runs 22-28 May in the beautiful north African city of Fes, Morocco. It really does sound an amazing week of open air concerts and more. 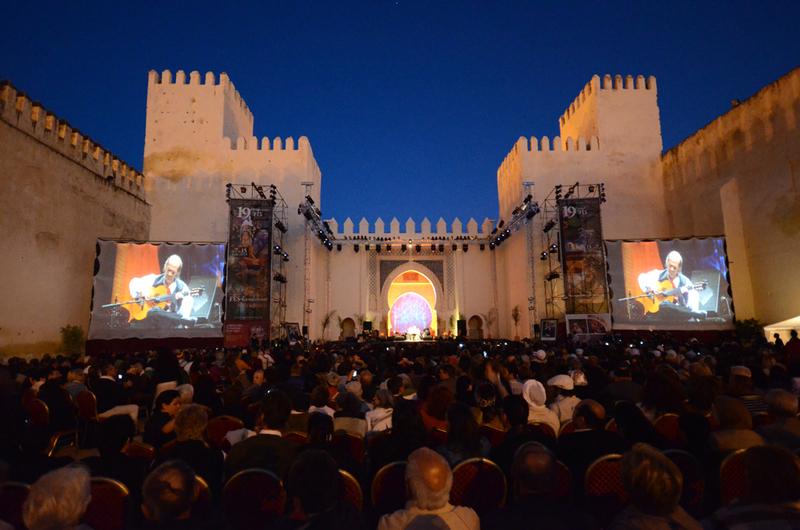 Every evening, the palace courtyard of the 14th-century Bab Makina is filled with a sold-out crowd who gather to catch headliners who have in the past included the now deceased Ravi Shankar and Paco De Lucia as well as Malian superstar Salif Keita, Johny Clegg , Ysou Ndour and many famous Sufi groups from Morocco and the Arab world. 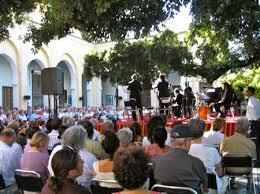 Big evening concerts are held at Bab al Makina, the open-air parade ground in front of the Royal Palace. Free co ncerts are held each evening at Boujloud Square, close to Bab Boujloud. Nights in the Medina concerts (Monday, Tuesday and Wednesday) are held in smaller venues including the music conservatory Dar Adiyel, Sidi Mohamed Ben Youssef Cultural Complex, and the Batha Museum..
Sufi Nights are held in the garden of Dar Tazi, the Festival headquarters. Medina Mornings are new this year: venues to be confirmed. The opening concert takes as a theme Fes: in search of Africa. From desert wastes to the treasures of ancient palaces, this great musical tale evokes the spirit of African heritage. Fes and its medina is the link between Andalusia (Spain) and Africa. The performance is a tribute to these great mystical travellers who forged historic links between Morocco and the rest of Africa. World renowned artists are coming into Fes from Mali, South Africa, Burkina Faso, Egypt, Senegal, Mauritania, France and French Guyana – and that’s just for the opening concert. By comparison with getting to The Great Escape, SXSW or CMJ, travel and accommodation can be more tricky but I’ve heard from an old friend (who won’t thank me for calling her that) about an overland expedition to the festival which takes care of everything and creates a really interesting and authentic experience. The tour itself starts in southern Spain which offers cheap and easy flights from most of Europe). Hidden Morocco Tours specialise in small group tours exclusively to Morocco, a country and culture with which they are very familiar. Travel is by people carrier with trusty Land Rover support. Starting in southern Spain, the itinerary includes a ferry crossing to Tangiers and travel to Fes, accommodation, meals and local guides. Suffolk’n’Cool has no commercial link with Kritz and her team. It’s just that Hidden Morocco Tours comes highly recommended. If you want a festival experience that’s out of the ordinary, this sounds like the one. If you do go, let me know, it would be great to hear all about it and let Kritz know that I sent you! Check out the full itinerary for the tour.